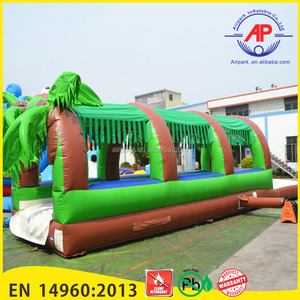 Guangzhou Airpark Inflatables Co., Ltd. Accessories Air blowers, repair kits and durable packing Can be optional Ground tarp, stakes Workmanship Double- to quadruple stitched vinyl throughout the entire unit supports rugged activity. Important Order Terms Packing Terms Durable PVC bag for inflatables, carton for air blower Production time Usually 7 to 10 days, depends on your order Payment Terms 40% deposit before production, balance before shipment. Warranty 3 years for inflatables, 2 years for blowers How we make top quality inflatables: Optional Items(tarp and stakes needs extra purchasings) Some images of Justfun workshops: So many different kinds of inflatable games, some others for your reference: Contact us now to have your own inflatable water volleyball court!!! 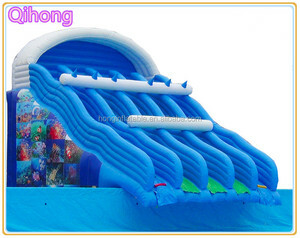 Guangdong Shunde Pinke Electrical Machinery Co., Ltd.
PK Fun Outdoor Sport Games Big Inflatable Water Parks Water Game Toys For Adults 1.Pinke Inflatable Products Inflatable water park games , Inflatable kids water games , Inflatable water sports , Inflatable Water Pools , Inflatable Water Toys , Inflatable Water Walking Balls , Inflatable Water Roller , Inflatable Water Slides , Water Trampoline With Slide , Inflatable Water Walking Ball , Inflatable Water Trampoline ,Inflatable Boat Toys , PVC Inflatable Boat, Inflatable Bumper Ball, Inflatable Zord Ball, Inflatable Snow Ball, Inflatable Grass Ball etc. 2.Pinke Inflatable Equipment Cutting machine,sewing machine,high frequency machine,hot welding machine,grommet machine,digital printing machine 3.Professional spare parts,repairing kits,CE/UL blowers/pumps 4.Durable and reasonable package 5.Safe and durable material 6.Feature of sealed air products 1. Over lap weld, five layers at the seams to avoid air leak and extremely strong 2. Dubble T-strip PVC internals 3. 6 layers(webbing+PVC RF welding) for the D-rings/D-anchor on the inflatables 4. 3 layers RF welded for the webbing handles 5. 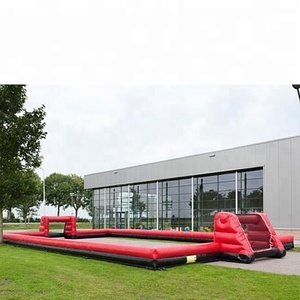 No Leak 7.Application Park, rental business, commercial use inflatables, home use inflatables, sponsor products, advertising, amusement parks, schools, kindergarten,residential, shopping mall ,malls, outdoor events, beach, suqares, party, church events, sports center, gym/gymnasium, stadiums, physical education, golf,yacht, show, water park, lakes, swimming pools etc. 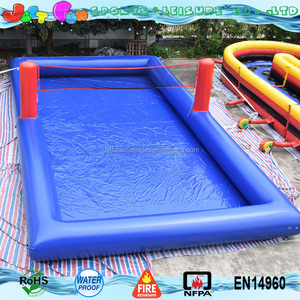 Yuyao Zhiduo Leisure Products Co., Ltd.
Guangzhou Ji Ho Inflatable Co., Ltd.
hot sale inflatable water obstacle course The inflatable obstacle course is produced by Zhengzhou Winsun Co. 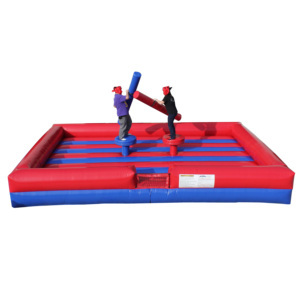 The inflatable obstacle course is made of 0.55mm Plato PVC which is very durable, waterproof, eco-friendly, has no chemical toxic gas in high temperature to hurt kids. 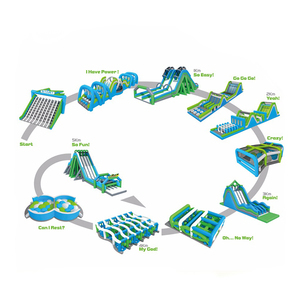 The inflatable obstacle course used in amusement park, life saving, tricklining, outdoor campaign and so on. Customer can send us their design requirements after the payment. We offer the CE or UL approved blowers,according to your local requirements. Q: Is there any import tax, duties or charges included9 A: No, they will be not included. 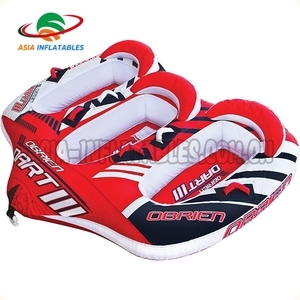 Guangzhou ChinaV Inflatable Co., Ltd. It's made with heavy-duty vinyl in an extremely durable process that is sure to handle any rough and tumble antics your kids can throw at it. We have a team of top designers and efficient workforce and have been working hard for many years, our products are selling to all over the world. Customer hot line:0086-020-3470 4480 Customer visit Distinguished guests from all over the world visited our factory. 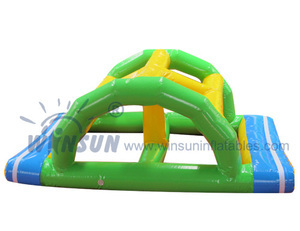 Guangzhou Kemi Inflatable Products Co., Ltd.
Guangzhou Kuoye Toys Co., Ltd.
Alibaba.com offers 8,302 sport water game products. About 28% of these are water play equipment, 3% are other toys & hobbies, and 1% are playground. A wide variety of sport water game options are available to you, such as pvc, plastic, and nylon. 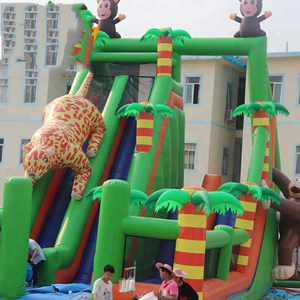 You can also choose from inflatable toy, electronic toy, and educational toy. As well as from free samples, paid samples. 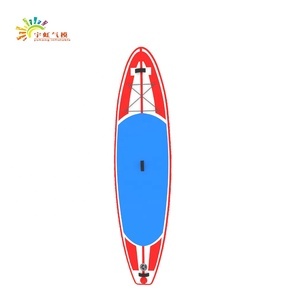 There are 8,312 sport water game suppliers, mainly located in Asia. The top supplying countries are China (Mainland), Taiwan, and Pakistan, which supply 99%, 1%, and 1% of sport water game respectively. Sport water game products are most popular in North America, Western Europe, and Domestic Market. You can ensure product safety by selecting from certified suppliers, including 865 with Other, 854 with ISO9001, and 271 with OHSAS18001 certification.